Beijing instant-boiled mutton hotpot is a typical Beijing-style food. Eating it has been a tradition for most Beijingers in winter, because it can keep warm as well as strengthen bodies. Dong Lai Shun Restaurant is always the first to come to mind when it comes to the instant-boiled mutton in Beijing. Boiled in distinctive copper pots over white-hot charcoal, the mutton features fresh and tender in texture without any other spices apart from a few green onion and ginger. By virtue of high-quality and thin-sliced strips of meat, excellent flavor and exquisite tableware, Dong Lai Shun was approved as the China’s Century-Old Restaurant. The Yi Tiao Long Restaurant, originally named Nanhengshun Mutton Restaurant, opened in the Qing Dynasty (1785AD). It is a famous Muslim restaurant. The restaurant is featured the distinguished courtyard-style of the Qing Dynasty with authentic instant-boiled mutton hot pot served at the first floor, Muslim dishes served at the second floor and the banquets served at the third floor. Its instant-boiled mutton hot pot is best-known. Not only is it voted as the “Famous Beijing-style Hot Pot”, but also its cooking method is enlisted in the Beijing Municipal Intangible Cultural Heritage in 2007. There are four characteristics of Yi Tiao Long instant-boiled mutton hot pot: first, the ingredients are in high quality. The mutton is selected from the sheep in Gansu Province, which tastes quite fresh and tender; second, the mutton is well processed. The unique means can keep the mutton fresh and eliminate the gamy odor of mutton. Third, the various dipping sauces are made from ten kinds of seasonings by secret recipe, such as sesame paste and seafood sauce. Fourth, the wheaten food cooked by the method from imperial kitchen is delicious. Especially the sesame crisp cake tastes tender and crispy. Yang Da Ye is certainly familiar to Beijingers who have deep love for authentic instant-boiled mutton. The mutton dishes supplied by this restaurant are calculated by the unit “meter”, which will take new visitors’ breath away: How fantastic is that they put meat into ancient instruments in various shapes! Yes, the “one-meter-plate” mutton which frequently goes viral on the Moments of WeChat, the most popular social media mobile app in China, is the very dish supplied by “Yang Da Ye”. Here, you can freely enjoy drinking and eating to your heart’s content. Boil as long as half-meter mutton in the copper pot, then dip them with rich sesame paste and pop into mouth, enjoying a fresh and delicious aftertaste little by little. Jubaoyuan is a long-established Muslim restaurant in Niujie. 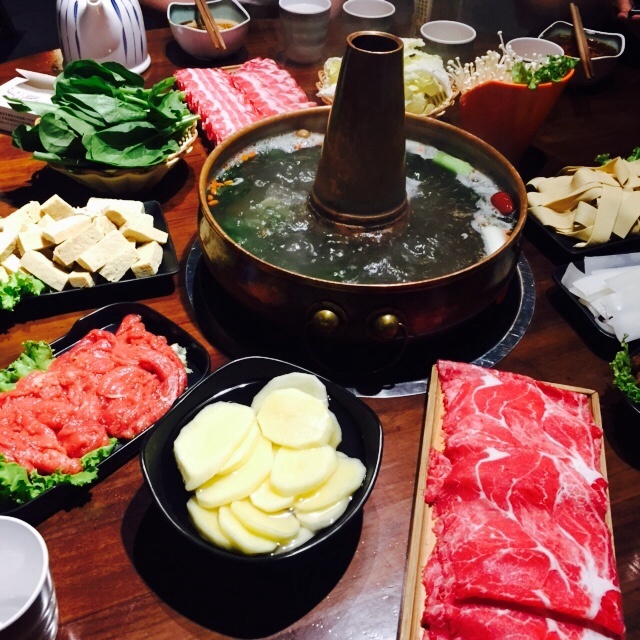 The restaurant is charactered by the traditional Beijing copper pot, the clear soup of hot pot, fresh red meat and the special sesame paste. 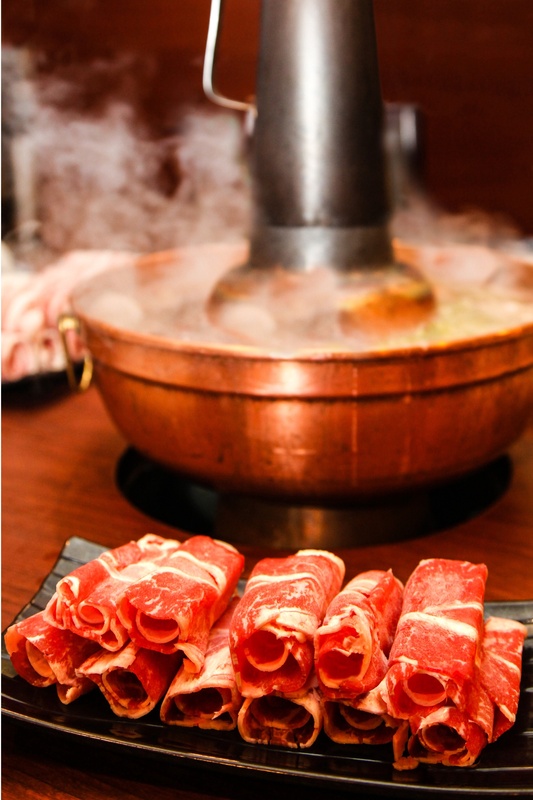 Here you can feel the real Beijing flavor through the copper hotpot heated by charcoal, the clear soup and the sesame paste. The tender mutton, without its special taste, is perfectly cut. The supreme Chinese pancake is also available, and one person is limited to buy five pancakes. Although Yudefu has exactly had a reputation as a time-honored brand, it would firstly come into mind for most diners when it comes to instant-boiled mutton in Beijing. It sticks to its mutton cutting ways as it has always been, namely double-layered 0.8-mm-thick mutton slice. Devoted to spreading authentic Peking food culture for years, Mr. Yu would teach you how to eat instant-boiled mutton if time permits. 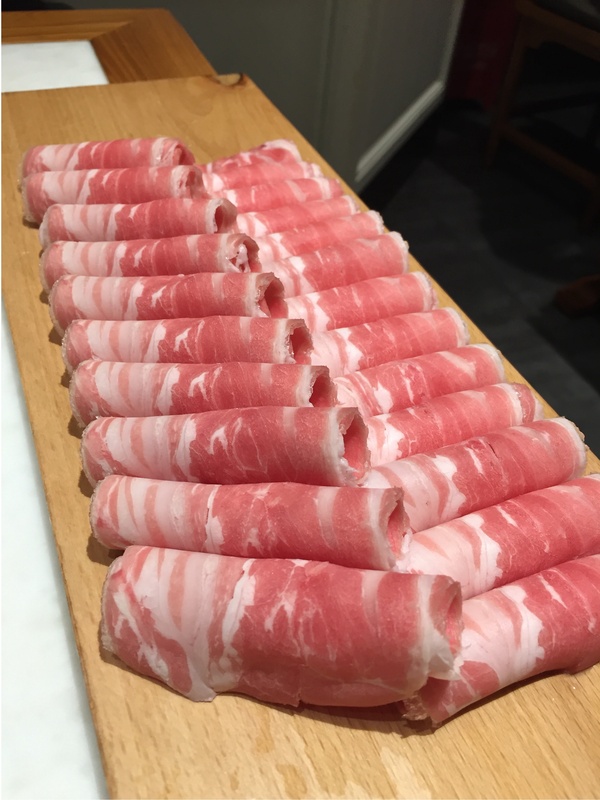 For Yudefu’s extremely thin mutton with double layers, you need to separate them gently by chopsticks, and eat them after seconds when the red color fades. At here, it would add caraway, chopped green onion and delicious yet not spicy pepper oil into sesame paste based on dinners’ tastes. And after stirring, coat freshly-boiled mutton with a spoonful of sesame paste and then gorge it. The most authentic way to eat instant-boiled mutton would retain the original taste of sesame paste and give you a perfect blending taste of sesame paste and mutton.